This post is in collaboration with The Wellbeing Network. The Wellbeing Network is dedicated to making health and wellness accessible for everyone. Fall is right around the corner. The season will start to change soon, with bright greens being replaced by rich yellows and fiery oranges and reds. Before that happens, embrace the final days of summer with a nutritionally-packed green dip, perfect for snacking on throughout the week on or bringing to a party. 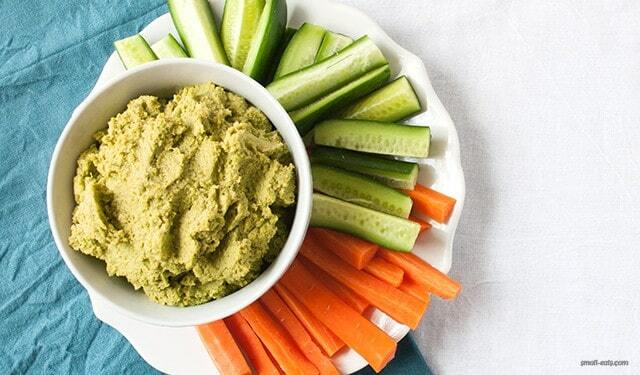 The main players in this dip, edamame, peas, and avocado, bring the beautiful green as well as protein, healthy fats, and fiber. Paired with some raw vegetables, it’s a perfect way to enjoy vegetables. This dip could also be great with falafel or roasted vegetables. Read the rest of the post and get the recipe at The Wellbeing Network.